Once upon a time in 2007, a group of independent record store owners and employees had a discussion that would help shape the music scene for years to come. They recognized the resurgence of interest in vinyl records and wanted to celebrate the unique culture that was sprouting up right in front of them. 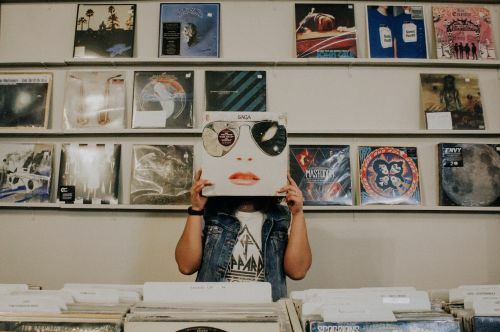 The hipster movements of the early 2000s, the growing obsoleteness of CDs, and the yearning for physical items in the transition to the digital age all contributed to the second coming of the vinyl record, and with it, the independent record store. In 2008, the first ever Record Store Day was born as a day of celebration for staff, customers, and artists to come together in their love for the independent record store. Now, 11 years later, New York, Los Angeles, Las Vegas, and other cities across the U.S. have declared Record Store Day an official holiday. Record stores across the country host performances, meet and greets, DJs, parades, and more. The small list of titles released for Record Store Day in 2008 has grown into a giant, all-encompassing list of labels and artists celebrating the culture with special vinyl releases made exclusively for the day. Record Store Day has become an enormous influence on every aspect that goes into the sale of vinyl records – independent record stores, their customers, and the artists – and has in large part contributed to the vinyl revival, which is not a small feat in the digital age. In fact, 2018 saw Sony’s first production of vinyl records in-house since 1989. In addition to Record Store Day’s impact on the vinyl revival worldwide (it’s celebrated in every continent besides Antarctica), it’s a great way to support independent local businesses and artists. “Fargo-Moorhead has always had an incredibly strong music scene and record stores have always played an important role in that. Record Store Day helps keep stores like Mother's relevant so we can continue to do what we can to support local music,” Brady Bredell, owner of Mother’s, said. “I absolutely love hosting local artists at Mother's on Record Store Day. This year, all three of the FM area’s record stores (Orange Records, Mother’s, Vinyl Giant) will host events, sales, and limited-releases on Saturday, April 13th for the 12th Annual Record Store Day. Vinyl Giant will open up two hours early on Saturday at 8 A.M. with maple bars and bacon for the early-bird customers. Vinyl Giant’s other RSD promotions will include Fargo Brewing on site from 10-3, a live DJ schedule, limited edition Vinyl Giant T-shirts, sales and promotions, and special limited-release RSD albums. Mother’s says that for them, Record Store Day “is a time to celebrate local talent by hosting some of the area's best artists. This year, we're excited to welcome Kwaician, G dot, Kody Gerard, Seth Bloom & Christopher Kenyon.” In addition, to live performances and RSD releases, Mother’s will have free Caribou Coffee and donuts at 7 a.m. and free pizza at 2 p.m., free Mother’s stickers and buttons, and other giveaways and promotions. On Saturday at Orange Records, customers will receive 20 percent off used vinyl and CDs, 10 percent off Orange Records merch, and of course, a selection of limited-edition Record Store Day vinyl releases (which will be behind the counter, so Orange Records asks that customers please come prepared with a wish list for the limited-releases). Orange Records will open at 8 a.m.
Mother’s Orange Records and Vinyl Giant have their complete lists of limited-edition Record Store Day release titles posted on their Facebook pages, as well as Record Store Day schedules and events. Celebrate independent record stores, artists, and the local music scene and contribute to the vinyl revival this Saturday!